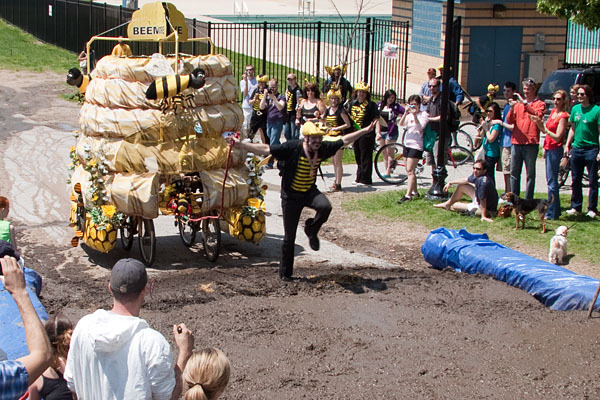 With a dramatic flourish, Bee-Have was the first sculpture to enter the mud. While it needed tugging and pulling with a tow line to get through the mud, this is allowed under race rules as long as a sculpture is not following the more stringent ACE protocol. The three bees atop the sculpture spun around with dramatic velocity. 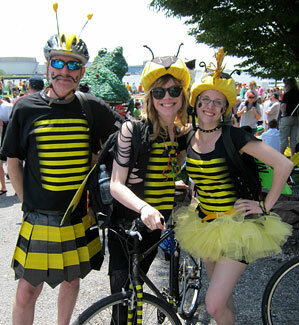 Bee-Have comes from Tony Walker and Tom Rivers of Fell’s Point, responsible for 2010’s Chessie. 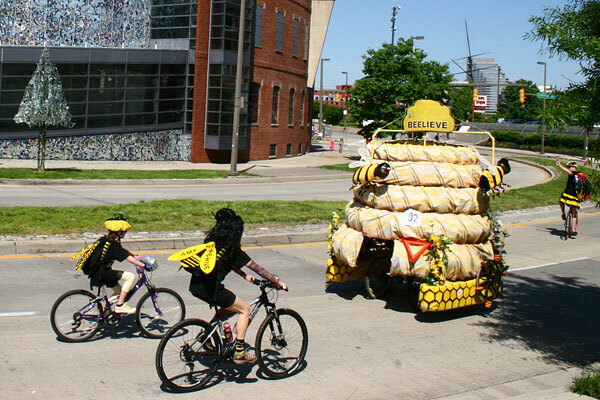 One of the three spinning bees was entered as the homemade sock creature required to be carried on each sculpture at all times while it is in motion. 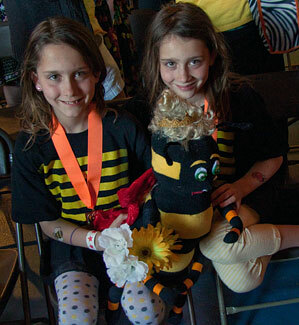 That bee won the Sock Creature of the Universe award.